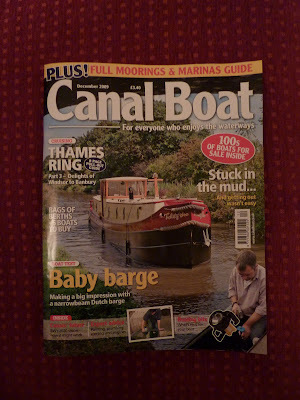 The December issue of Canal Boat is out, and includes my review of Tickety Boo, a narrowbeam Dutch barge by Wharf House in Braunston. 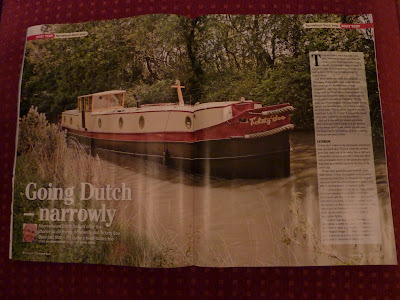 I was surprised how much I liked this boat, and and the piece says, I can't remember being on a boat which attracted so many positive comments from other boaters and from the towpath. It certainly makes an impression. An interesting letter published in Canal Boat this month. I don't think the chap liked it much. Haven't had this month's issue yet, so I haven't seen the letter. Not everyone will like everything, though!